Well Pastor Tim Challies has released another info-graphic. 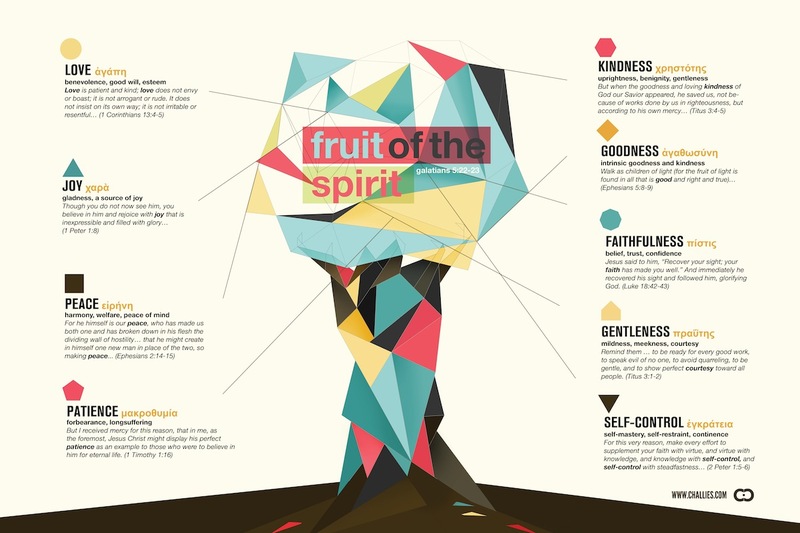 This time its on the Fruit of the Spirit. I love this series because of the opportunity for visual learning. It’s been said that the more sense you use to learn, the more likely it is that you’ll be able to remember what you’re learning.